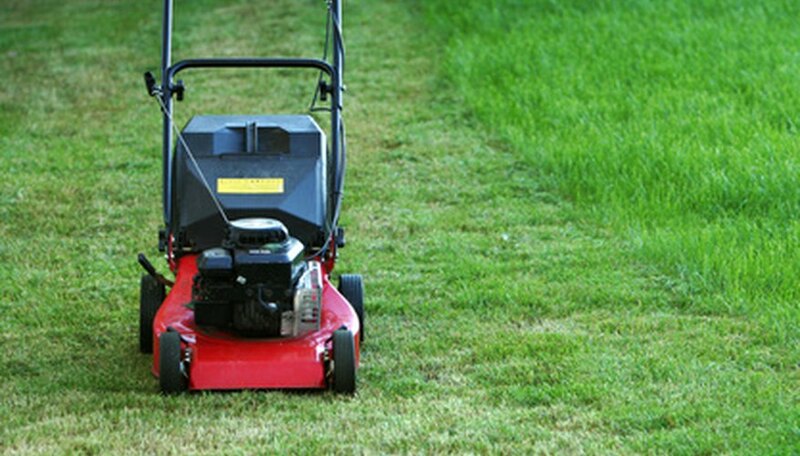 MTD Yardman lawnmowers have served homeowners and light commercial duty lawn care needs for decades. Created by combining the MTD and the Yard-Man outdoor equipment companies in 1975, MTD Yardman outdoor power equipment is reliable, hardworking and competitively priced. Yardman offers a full line of replacement parts, many of which can be successfully installed by the average homeowner. Visually inspect the existing throttle cable. The throttle cable extends from the throttle toggle lever, which is mounted on the equipment's push bar, down the length of the push bar to the side of the engine. The throttle cable is attached via a series of small metal clips that are screwed to the equipment's frame. The end of the throttle cable fastens onto the throttle toggle lever at the top and into the lawnmower's carburetor at the bottom. Remove the existing throttle cable by disconnecting the throttle toggle lever from the push bar using the screwdrivers and a socket set. Remove the individual clips that hold the throttle cable. When the cable clips are have been removed, the throttle cable can also be removed from the equipment. Remove the throttle cable and the throttle cable casing from the connection to the lawnmower's carburetor. Apply a small amount of penetrating oil to each end of the replacement throttle cable at the point where the cable enters the cable casing. Slide the cable back and forth in the casing to lubricate the new throttle cable. This penetrating oil will prevent the new cable from corroding during its initial use. Repeat this step during the lifespan of the replacement cable if the throttle toggle lever becomes jammed or difficult to adjust. Reinstall the OEM replacement throttle cable in the reverse order, using the same tools required to remove the old throttle cable. Ensure that each connection is fastened tightly. Begin installing the new cable at the carburetor, and finish the installation by reattaching the throttle toggle lever. Use zip ties or vinyl electrical tape to remove any slack in the throttle cable. Loose cables can get snagged on bushes or outdoor ornaments during use, which could damage the new throttle cable.